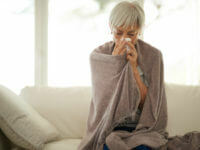 Most people know that colds and flus are spread when droplets containing the flu virus are distributed through coughing, sneezing, talking, and physical contact. Did you know that certain viruses can survive for weeks? As you sanitize your home, don’t forget about your fine surfaces, such as carpet, rugs, and upholstery. These surfaces are often overlooked or not properly sanitized. This flu season, protect your family by keeping all of your surfaces clean. Use sanitizing liquid soap and wash your hands often. Disinfect doorknobs, light switches, and other frequently touched surfaces, as well as countertops, walls, and floors. Don’t forget the toilet handle! Vacuum daily. Use a HEPA filter in your vacuum cleaner to trap small particles and keep them from being blown back into the air. Have your carpets, rugs, and upholstery professionally cleaned. When people are sick, they tend to spend more time resting, coughing, and sneezing on the couch. Proper professional carpet and upholstery cleaning is an effective and thorough way to remove contaminants that get trapped in fine surface fibers. Stepping up your normal cleaning may be inconvenient, but during flu season, it is imperative. When you have your fine surfaces professionally cleaned, not only can you easily check one more task off your list, but you’ll also have peace of mind.